X-rays can help your healthcare provider see what underlying issues might be causing your pain or other symptoms. Panorama Urgent Care Family Medicine conveniently has digital X-ray machines on-site to screen for and injuries or illnesses, offering a more comprehensive healthcare experience. Our state-of-the-art, digital x-ray system improves the quality of images and helps us to process results faster and provide more accurate diagnostics. X-ray machines use low levels of radiation to take a picture of structures inside your body. Radiation is accompanied by a low risk of damage to tissue or cells within your body. The more times the same area of your body is exposed, the higher the risk of damage. Even so, complications are very rare. 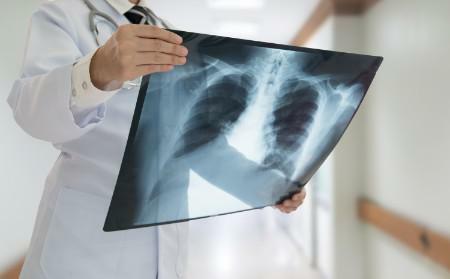 If your healthcare provider has recommended an X-ray, he or she is confident that the benefits (identifying the underlying problem) outweigh the risks (not having the information needed to treat the problem). However, you should still consider the risks and benefits yourself and ask clarifying questions to make your own decision about X-rays. Will the Technician Explain the Findings? The technician (the person who takes your X-ray) isn’t qualified to read or interpret the X-ray. Instead, your X-ray will be evaluated by a Radiologist, who has received extensive training in this field. Your provider may review the X-ray immediately and make an initial determination to share with you. However, your provider will receive the official reading within one to two days and contact you with the results. The reading of X-rays can be expedited in emergency situations. What Should I Wear When I Show Up for an X-Ray? You can wear what you like. In most cases, you’ll be asked to change into a hospital gown before the X-ray, so wear comfortable clothes that are easy to put on and take off. You can either leave your jewelry at home or just remove it before the exam. Your provider will explain to you in advance what to expect. If you use our online patient portal, results may be shared through the portal for your convenience and expedited access. Some results can only be shared over the phone or in person. It’s important to ask your provider when you can expect to hear back and how he or she will contact you before you leave the office.